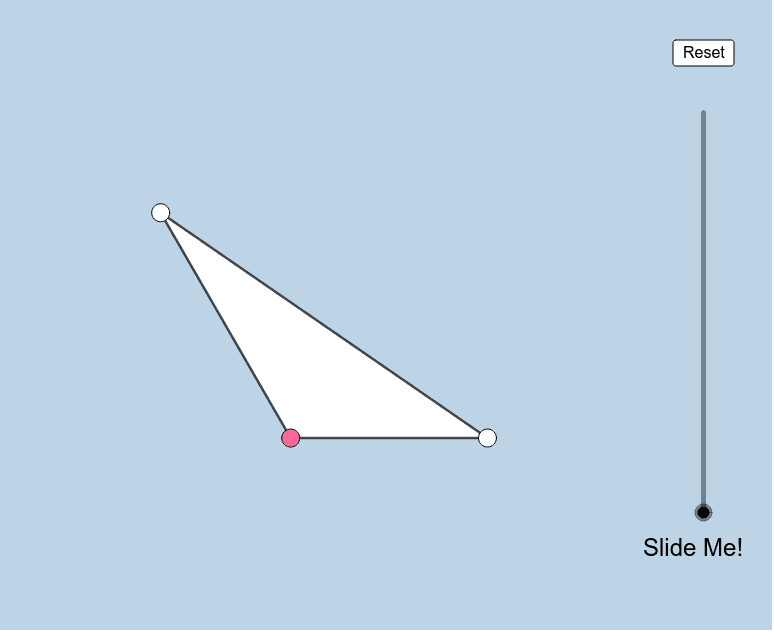 Creation of this resource was inspired by a problem posted by Antonio Gutierrez (GoGeometry). You can move the LARGE WHITE VERTICES of the white triangle anywhere you'd like at any time. Note: In this animation, dashed lines (soon-to-appear) are parallel to segments to which they appear to be. Questions: How can we put into words what is dynamically illustrated here? How can we formally prove this phenomenon always holds true for this special triangle? The rate of change of volume in a melting cube of ice.